This place needed a lot of work. Those horrible bushes out front just had to go. 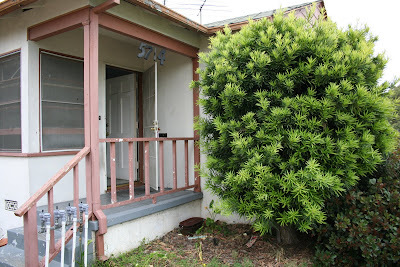 We put in some nice plants in their place including a small apple tree as seem right on the corner of the house. 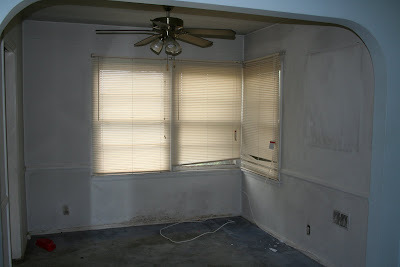 The wood on the windows were falling apart and all the blinds were broken. 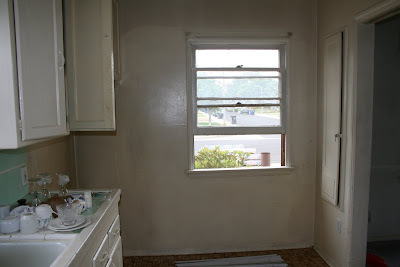 The walls all needed to be scrubbed clean and painted; the carpets were ripped up and smelled terrible. 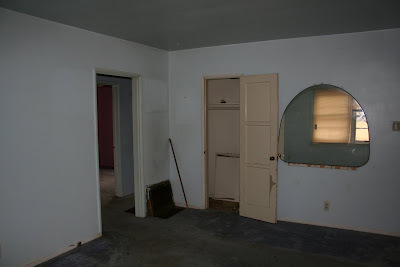 We ripped that out and re-did the wood floors. We love the red and yellow in this room. The new windows are great too; every window in the whole house got replaced and new curtains replaced those plastic blinds. 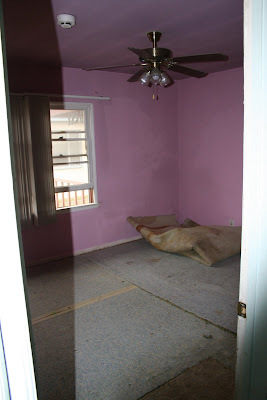 We much prefer the light yellow to that bright pink that was there before. This is the computer room, where Steven's animation desk and the rest of his stuff resides. 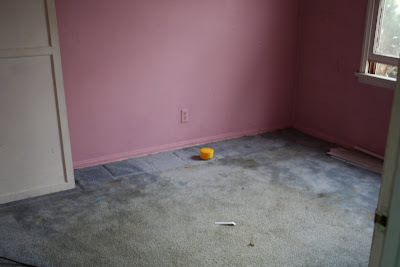 This was the grimiest, most disgusting room in the whole house. 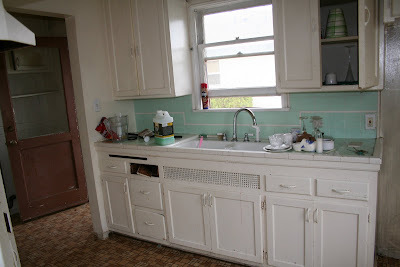 We scrubbed it clean, gave it a nice paint job and Jeni's brother Richard re-tiled both the kitchen and the bathroom. 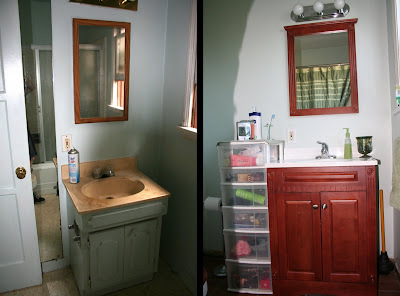 Nice new tile floor, new toilet, new sink, new mirror, and new lights. It's like a whole new room. 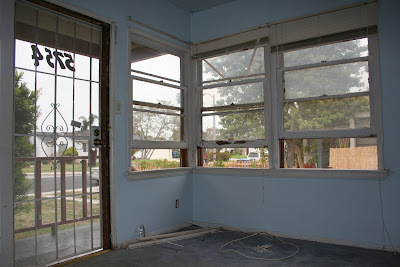 In fact, the whole place is like a new house -- it's so much different than how we found it.